So everyone gets attached to their cars. After all, we do spend countless hours in them, relying on them to get us where we need to be. However sometimes things change, as well. 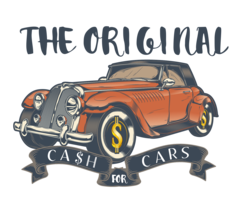 The Original Cash For Cars understands. This is why all you will find are friendly, courteous people to assist you every step of the way. Not only do we provide service with a smile, but we throw in a laugh or two while we’re at it. With over 50 years combined automotive experience at the helm of The Original Cash For Cars, we have our finger on the pulse of the market. When you deal with our company, you are dealing with the premier cash for cars outlet in the country. We specialize in all pre-owned cars, trucks, vans and SUV’s. Fell free to request your FREE QUOTE by filling in our easy form found on this page and every page of our site, or by calling 631-464-0404.